Did 90% of Species Appear Almost Simultaneously? New Genetic Study: 90% of Species Appeared Almost Simultaneously. Mark Stoeckle from The Rockefeller University in New York and David Thaler at the University of Basel in Switzerland analyzed mitochondrial DNA collected from 100,000 animal species stored in the US government-run GenBank database. Their findings were recently published in the journal Human Evolution. In analyzing the DNA barcodes, the researchers found an indicator that showed nine out of ten of all the species of animals alive today emerged about 100,000-200,000 years ago, approximately the same time that Homo sapiens appeared. The researchers did not provide an explanation as to what led to this sudden explosion of life, but Dr. Schroeder, did suggest a theory for this phenomenon. 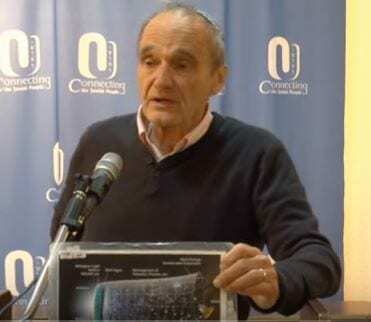 When discussing the timeline, Dr. Schroeder explained that the 100,000 year timeline did not contradict the Hebrew calendar which sets man’s creation at 5,778 years ago. “The neshama is what gives us the ability to be compassionate for someone outside your immediate clan,” Dr. Schroeder said. “Animals have a nefesh and can be compassionate to their own clan but they see anyone outside their clan as a threat. The ability to see the ‘other’ as something other than a threat, to have compassion and empathy, is what defines the neshama.”Remarkably, man’s receiving a neshama did have an effect that even science recognized. Dr Schroeder related a visit he paid to the British Museum in London several years ago. An entire wing of the museum was dedicated to a change that occurred in mankind that museum curators believed to be the landmark that defined human society; the beginning of cities. A large brass plaque on the museum wall proudly proclaimed that this change occurred spontaneously around the world 5,500 years ago. Dr. Schroeder explained that the reason for science has yet to fully understand this sudden universal change, but can be understood in Biblical terms as the moment when man was instilled with a neshama.“The beginning of farming 10,000 years ago led to a population explosion but without a neshama, men would not be able to live together with other people not from their clan,” Dr Schroeder explained. “One hundred thousand years ago Homo sapiens appeared, but they only had a nefesh. That is what science sees. 5,778 years ago, men were instilled with a neshama and had enough compassion, enough of a sense of the ‘other,’ to organize themselves into large societies.”In addition to the new timeline of 100,00 years, the results of the new study are problematic for classical evolutionary theory which is based on long sequences of random mutations followed by natural selection. The gene study found a lack of variation in so-called “neutral” mutations, which are the slight changes in DNA across generations that neither help nor hurt an individual’s chances of survival. This would result in species with large, dispersed populations becoming more genetically diverse over time. The study showed that this was not the case, bringing into question evolution as it has been taught for almost 100 years. Click above link to Human Evolution Paper.